Have you ever admired the glass painting on the windows at Cucina Rustica? The ones that set a pretty scene and catch the light beautifully through those earthy colours? Or the many paintings decorating the walls of our restaurant? You’ll be impressed to know that they were created by Cucina Rustica’s very own Violetta Brandys. Violetta is our Restaurant Manager, but she’s also a wonderfully talented painter and a Vedic art teacher. From paintings to decor, we’ve been lucky to have Violetta’s artistic eye bring style, creativity and atmosphere to Cucina Rustica over the years. This month, very excitingly, Violetta will be showcasing her amazing work in an art exhibition at Frederick’s Coffee Lounge & Bar, also in Birmingham’s Jewellery Quarter. We highly recommend you visit! 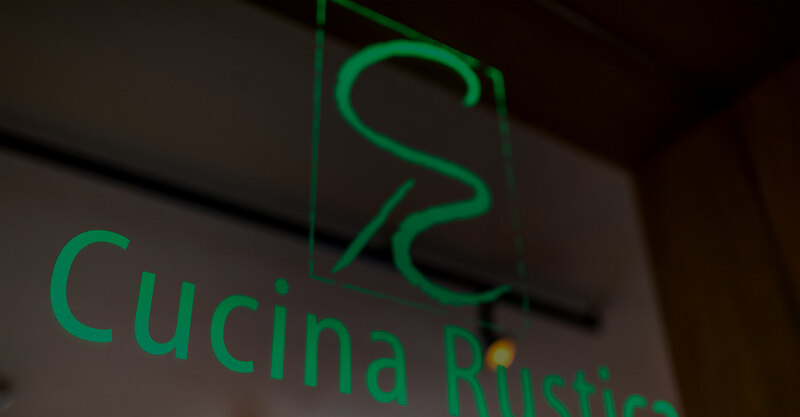 Whether it’s a leisurely lunch date or a business meeting, Cucina Rustica, situated in the heart of St Pauls Square in Birmingham’s Jewellery Quarter, is the perfect place to enjoy authentic Italian food at lunchtime. And on those glorious summer days, we have the option of dining al fresco from our Summer Lunch Special Menu with views of the leafy square and Cathedral in the distance. Who said vegetarian food has to be boring? This week is National Vegetarian Week which takes place between 14th – 20th May this year. It highlights that eating veggie food can be exciting and delicious despite all the myths. And if you’re a big fan of Italian food, there’s lots of exciting vegetarian Italian food for you to try at Cucina Rustica in Birmingham’s Jewellery Quarter. If you’re looking for deliciously cooked, fresh seafood in Birmingham, you must visit Cucina Rustica! As well as offering delicious, modern Italian cuisine, we specialise in fresh fish dishes. There’s so much room for mushrooms in 2018! From mushroom infused coffee and cocoa to matcha tea blends, these trendy fungi are set to crop up in other unexpected places this year. “Food is symbolic of love when words are inadequate.” – Alan D. Wolfelt. And nothing says ‘I love you’ like fine Italian dining at Cucina Rustica on Valentine’s Day. We like to think that we Italians know a thing or two about both food and love, so you won’t go wrong with a Valentine’s meal at Cucina. We have the perfect atmosphere and a sensational 5 course Valentine’s Menu for you to indulgein this February 14th – it’s a recipe for romance!